String operations are common to all kind of programming. Java has many in built operations supported by String class. String functions in java include substring, split, trim and more. However, there are a few more things we do on a regular basis and can be reused. There are few functions which I observed commonly used and may be helpful to keep handy as StringUtil class with static methods. Exceptions class provides a printStackTrace() method which directly prints the Stack Trace to the console. Sometimes you may need to take stack trace to a String variable and use it (e.g. logging using logger), or doing processing on the trace e.g. eclipse shows stack trace and links it to the file and line number. Below is a simple piece of code which demonstrates how we can capture the stack trace inside as String variable. This example utilizes the StringWriter class to convert the stream content to a String. 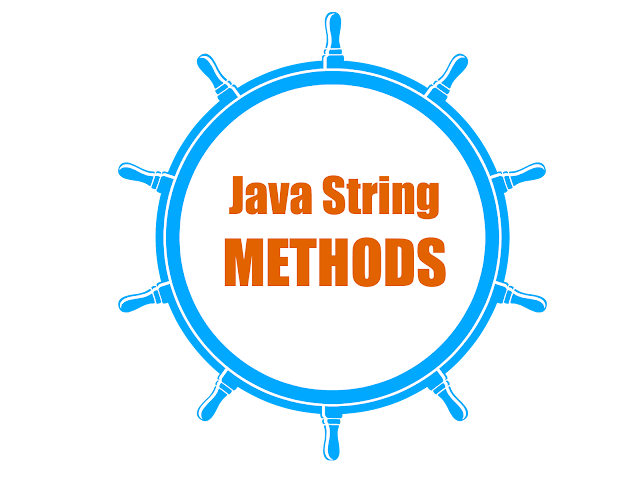 This is another simple Java String utility method, which can be used to merge two arrays of String values. This takes care of eliminating the duplicates and also does null checking. If you are dealing with multiple String arrays then it could be a useful method. * This takes care of eliminating duplicates and checks null values. This is a Collections List equivalent of the trim method for String Array. This can be used to trim all String values in a List of Strings. It takes care of null checking. * is collections equivalent of the trim method for String array. This is another simple but useful Java String Utility/Util method, which can be used to trim all String values in an array of String. This takes care of null checking while doing trim. java.lang.String class contains the trim method which can be used to trim a string from left and right both sides. So for example if you have a string [" This is a String "] then calling a trim() method on this string will convert it to ["This is a String"]. * trim all the String values in the string array. * Method takes care of null values. This method can be used to unquote a string value. This method takes care of single and double quotes both along with handling the null string. It returns the string as it is when the string is not quoted. * from a string if its quoted. * @param String value to be unquoted. * @return value unquoted, null if input is null. * Same method as above but using the ? : syntax which is shorter. You can use whichever you prefer. *            value to be unquoted. Exact file name extraction is required many times when dealing with files. Below is a String utility method, which can be used to extract the exact file name from an absolute path. It uses the File.separatorChar which should take care of all platforms. * For an input "c:\myDir\MyFile.java"
* The output will be : "MyFile"
This method can be used to convert a String separated by delimiter into an array of String. * "abcdzefghizlmnop" and using a delimiter "z"
A better and simpler/improved version of the same method is suggested by one of the readers and the code looks like this. The java.lang.String class default implementation has startsWith and endsWith() methods which perform case sensitive comparison, Below are two functions, which can be used to do the same startsWith/endsWith check ignoring the case. * Check a String ends with another string ignoring the case. * Check a String starts with another string ignoring the case. This method can be used to create a set of unique string values from a string which has tokens separated by some separator. This is a very useful method when you get the input as comma or space separated string, which has to be converted to a set of values when dealing with each value individually and avoiding duplicates. The code is using StringTokenizer for separating the tokens, so single or multiple separators can be used. There are times when we don't want to deal with null String values, in such cases below utility method can be utilized. This method returns an empty string value in case the string value is null. The same argument of extra method call may come up for this as well, but you may save unwanted NullPointerException in your application by using such a method. I have found this useful at places where we are displaying a field value on the user interface and want to mask the null values with an empty string. * Return a not null string. Can you think of a function which is not part of this list? Please don't forget to share it with me in the comments section & I will try to include it in the list. Updated in April 2019: Minor changes and updates to the introduction section. Images are updated to HTTPS. True, Just in case you don't want to use the commons library, you may keep a lightweight utility class. Good Collection..!! Thanks for sharing..! @Priya & @Vino - I am not sure if I understand your question? What method are you looking for? Instead of your implementation how about the below. @Anonymous - Thanks for the suggestion, I will add this as another option for same method to choose from. Thanks for sharing this piece of code. Do you have some insight on the performance of String.split() vs StringTokenizer, I guess StringTokenizer has an edge on perf but split is not too bad either. @P7h - thanks for your comment. Your version is much better. I will update my code.